The two Koreas agreed during last month's summit in Pyongyang to form a tripartite consultation with the UNC, which overlaps with U.S. forces in the South and oversees affairs in the Demilitarised Zone (DMZ), to facilitate their plan to disarm one of the world's most heavily fortified frontiers. The measures, designed to come about over the period of one month, would transform the border into a "place of peace and reconciliation," the ministry has said. "Most of the operations will actually be executed by the two Koreas but ensuring UNC support matters, as it has U.S. elements and also manages the Military Armistice Commission," a South Korean military source said on condition of anonymity due to the sensitivity of the issue. 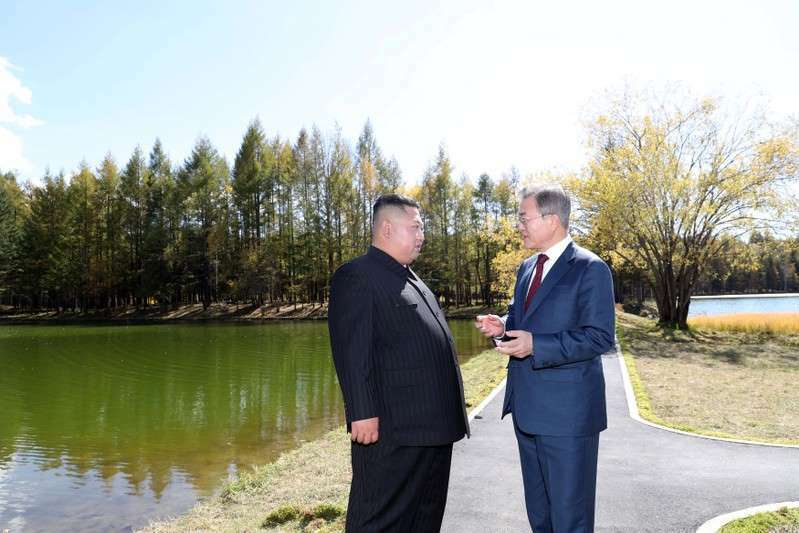 The two Koreas agreed on Monday to begin reconnecting rail and road links in spite of U.S. concerns that the rapid North-South thaw could undermine efforts to press North Korea to give up its nuclear weapons.